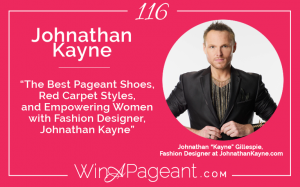 In this episode, I break down some of the most important products that every pageant woman needs. Most of these products, you’ll buy just once and use over the over again. You can buy them all on Amazon most of them are available for Prime members and if you bought them all at once, it’d cost less than $200 and you’d be set for a full year of appearances and competitions. These are also great to add to your birthday, Christmas, or send-off party wishlist. And, directors, these would make great a great gift bag for newly crowned queens. I’ll explain the little tricks to how I’ve used each so you aren’t lost at all. Here is the full list of products on Amazon.